From Pulitzer Prize-winner FitzGerald, a history of the Evangelical movement in America—from the Puritan era to the 2016 presidential election. Her book makes the case so well, it leaves readers with the feeling that we should all be paying closer attention ... Although FitzGerald's coda on Donald Trump's victory has a tacked-on feel in an otherwise masterful narrative, her explanation of evangelical support for his campaign — which puzzled many — reads as essential. FitzGerald illuminates how a decades-long relationship between the Christian right and the Republican Party (later joined by the Tea Party) coalesced into what looks like a mutually inextricable bloc. ...she has crafted a well-written, thought-provoking and deeply researched history that is impressive for its scope and level of detail ... What is the future of the Christian right? In The Evangelicals, Ms. FitzGerald treats her subject mostly as a historical phenomenon with a long and interesting genealogy. But she is obviously aware of its persistence and the obstacle it still presents to an 'enlightened' or liberal agenda. What the Christian right almost certainly will not do—even if it is not now what it once was—is lay down the struggle to shape America. FitzGerald is good at describing these high-profile engagements in The Evangelicals. She observes the niceties that divide different factions in the biblical camp. She notes that some of the people she calls evangelicals don’t want to be called that...By trying to preserve a diplomatic objectivity as an observer, FitzGerald has to confess that 'this book is not a taxonomy.' She nonetheless uses 'evangelical' as a conveniently vague term for most kinds of revivalism, while diplomatically recognizing even small-bore turf battles. But she makes one astounding error of taxonomy. She doesn’t include black churches in a study of evangelicals ... Given these apocalyptic developments in the time between FitzGerald’s finishing her book and its publication, there is a certain wry poignancy to her final pages. She drops hints (hopes?) 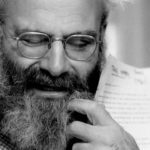 that the cycle of periodic revivals may have finally exhausted itself. 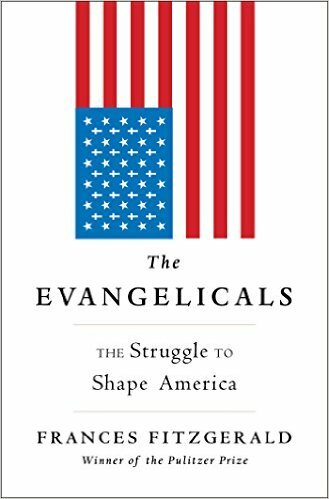 What did you think of The Evangelicals: The Struggle to Shape America?